The 2018 Antipode AAG Lecture will take place on Wednesday 11th April between 5:20pm and 7:00pm in Galerie 1 on the 2nd floor of the Marriott French Quarter (555 Canal St, New Orleans, LA 70130). The Lecture will be followed by a drinks reception sponsored by Antipode’s publisher, Wiley. It will also be recorded and made available online after the event as part of our Antipode Lecture Series collection. 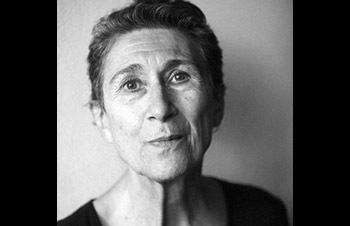 Silvia Federici is Professor Emerita of New College, Hofstra University. Born in Italy, Silvia travelled to the US in 1967 to pursue an MA and PhD at SUNY Buffalo. As well as teaching at Hofstra and the University of Port Harcourt in Nigeria, she co-founded the International Feminist Collective (and related Wages for Housework [WfH] campaigns) in the 1970s and the Committee for Academic Freedom in Africa in the 1980s, and has been involved in the Midnight Notes Collective and its publications through to the 2000s. 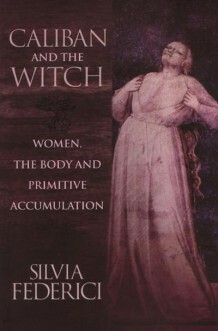 Silvia is well known as a Marxist feminist theorist, activist and scholar. Her books Caliban and the Witch: Women, the Body, and Primitive Accumulation (Autonomedia, 2004) and Revolution at Point Zero: Housework, Reproduction, and Feminist Struggle (PM Press, 2012) have become touchstones for students of the history and present condition of capitalism, the contested boundary between waged and unwaged work, and radical political strategy more broadly. Caliban and the Witch has been translated into several languages: its core argument, that “capitalism has been able to reproduce itself … only because of the web of inequalities that it has built into the body of the world proletariat”, makes clear that hierarchical social difference is the very DNA of capitalist accumulation, upending liberal and class-in-the-last-instance arguments to the contrary. Although the project leading to the book began in the mid-1970s, it has been central to 21st century debates about so-called primitive accumulation. Its enduring significance is all too evident today as bald racism and sexism become markers of a “zombie neoliberalism” and simultaneously targets of renewed anti-racist, feminist movements. 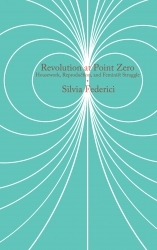 Revolution at Point Zero is a collection of essays spanning Federici’s remarkable career as a Marxist feminist intellectual, bringing together almost 40 years of work on the refusal and valorisation of reproductive labour, enclosure and colonisation, and practices of creating commons. The problematic of unpaid work (and thus the household, or “point zero”) runs like a red thread throughout, powerfully demonstrating that “the obstacle to revolution is not the lack of technological know-how, but the divisions that capitalist development produces in the working class”. This basic division–between paid and unpaid work–articulates with myriad histories and constructions of difference, and must be central to any project either of resistance or radical emancipation. 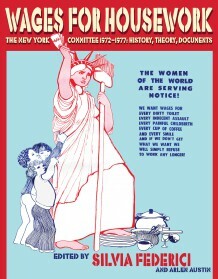 The New York Wages for Housework Committee, 1972-1977: History, Theory, and Documents (Autonomedia, 2017), a collection of essays and movement documents edited by Federici and Arlen Austin, gives long-awaited access to earlier pieces on the WfH movement–writing that will no doubt speak clearly to the current conjuncture, a moment in which “the precarisation and even disappearance of many forms of waged work and the growing reproductive crisis … is forcing us to rethink the home and the neighbourhood as terrains of struggle and political re-composition”. Federici’s scholarship and activism pushes her readers to embrace a politics that centres “the transformation of our everyday life and the creation of new forms of solidarity”. Such a commitment could not be more timely. As an introduction to Prof. Federici’s 2018 Antipode AAG Lecture, we have made three sets of recent papers available to readers without a subscription. Together they reflect themes germane to her work, and will, we hope, offer a primer or further reading to her lecture. Many thanks from everyone at Antipode to Silvia for agreeing to join us in New Orleans, and to Wiley’s Anna Potter for all her help with the lecture and virtual issue. 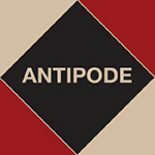 This entry was posted on 5 April 2018 by Antipode Editorial Office in Virtual Issues and tagged accumulation by dispossession, anti-racism, autonomy, care work, co-ops, colonisation, Committee for Academic Freedom in Africa, commoning, constructions of difference, cooperation, emancipation, enclosure, feminism, feminist political economy, gendered work, history of capitalism, inequality, International Feminist Collective, intersectionality, Marxist-feminism, Midnight Notes Collective, point zero, political organising, politics of difference, precarisation, precarity, prefigurative politics, primitive accumulation, racialization, reproductive work, resistance, settler colonialism, social justice, solidarity, subaltern politics, the body, the commons, the household, unpaid work, unwaged labour, wages for housework, women's activism, zombie neoliberalism.